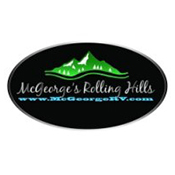 Welcome to McGeorge's Rolling Hills RV, the largest RV dealer in the state of Virginia. McGeorge's Rolling Hills RV has been in the recreational vehicle business for more than 34 years. Our inventory includes more than 350 Class A, Class B, and Class C motor homes, travel trailers, toy haulers, pop-ups, and fifth wheels. Our extensive service department has 12 service bays with all of the latest equipment. We have a full crew of certified technicians, and we even service motor homes and trailers that you've purchased elsewhere. If you're looking for a particular part, or just want to add to your RV, our parts department is second-to-none, with more than 10,000 parts and accessories in stock. We stock a full line of interior and exterior accessories, including items to make your RV feel more like home. Your experience begins with McGeorge's friendly and knowledgeable sales staff. We spend our time with you giving you the information you need to choose the RV that best suits your lifestyle. Stop by any time to see us. We're located at 11525 Sun Shade Lane right off of I-95 (exit #89-Lewistown Road) in the Northlake Industrial Park in Ashland, VA.